What can I use for Acne and Acne Scarring? 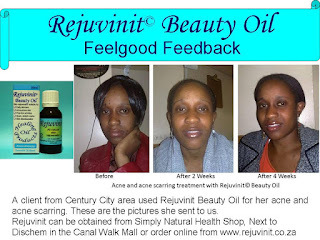 Rejuvinit© Beauty and Skin Oil is a general skin toner and rejuvenator as well as a facial, neck, hand and nail oil. 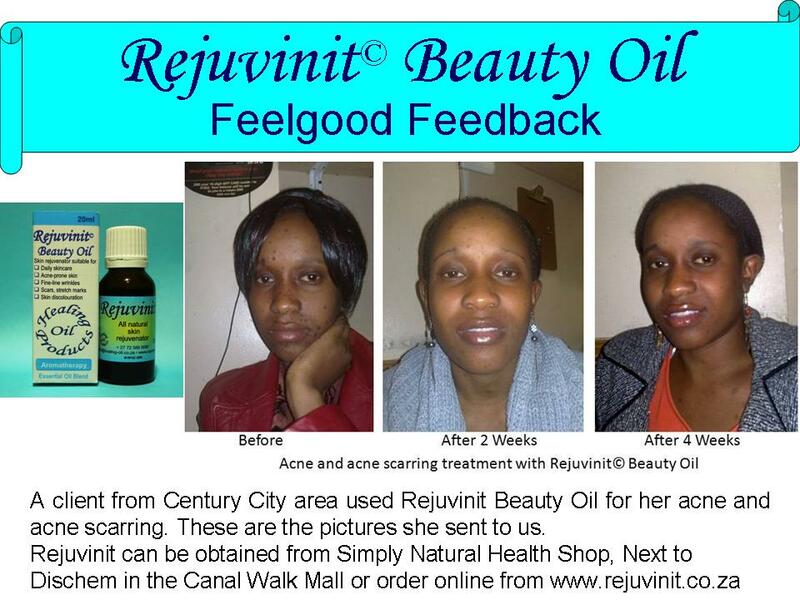 Rejuvinit© is absorbed quickly by the skin, leaving a pleasant, uplifting and relaxing smell. Ideal for Acne and Acne Scarring. Note: The above is based on the personal opinion of the writer. The relevant information has been compiled from 20 years of personal experience and feedback from clients. Contact a healthcare practitioner if symptoms persist.